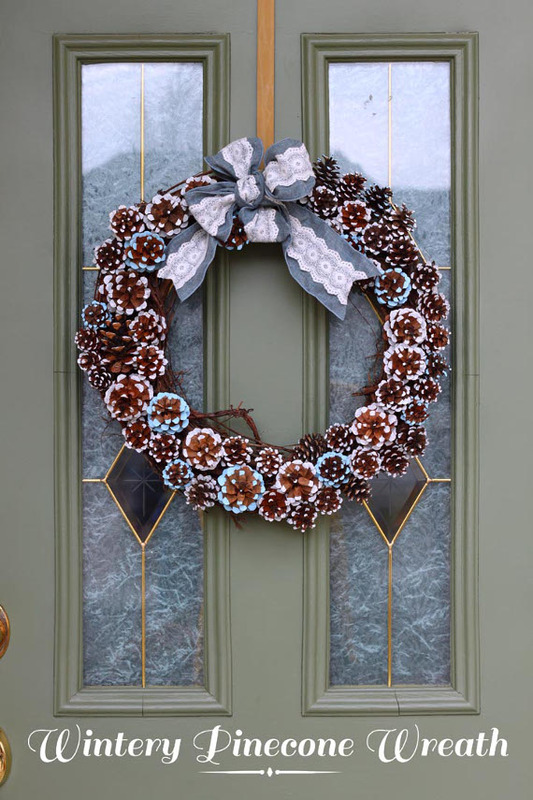 This wreath is an easy transitional piece for winter. It’s got enough earthy tones to put up now, and you won’t have to take it down until long past Christmas. This entry was posted in Crafts, Fall, Holidays & Seasons, Home Decor, Kid's Crafts, Winter and tagged Green Crafting, Nature Crafts on November 5, 2016 by Joselyn. With summer upon us and warmer weather in our forecasts, why not get outside to collect some supplies for your crafting projects? Not only does this save you from your DIY being more expensive than the real thing (c’mon, we’ve all been there) but it gives your projects a super natural look and your munchkins a chance to be a scavenger outside. 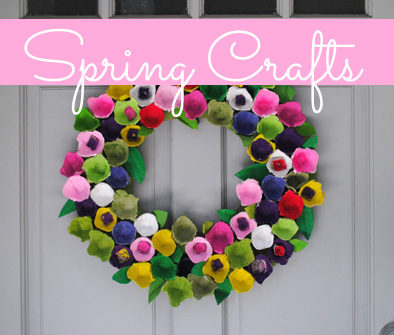 From your backyard to your local park to the walking trails down the road, there’s crafting inspiration everywhere! These stamps have your kiddos collecting, assembling, and creating all in one project! With all of the different flowers and foliage everywhere you look, the possibilities are all but endless. 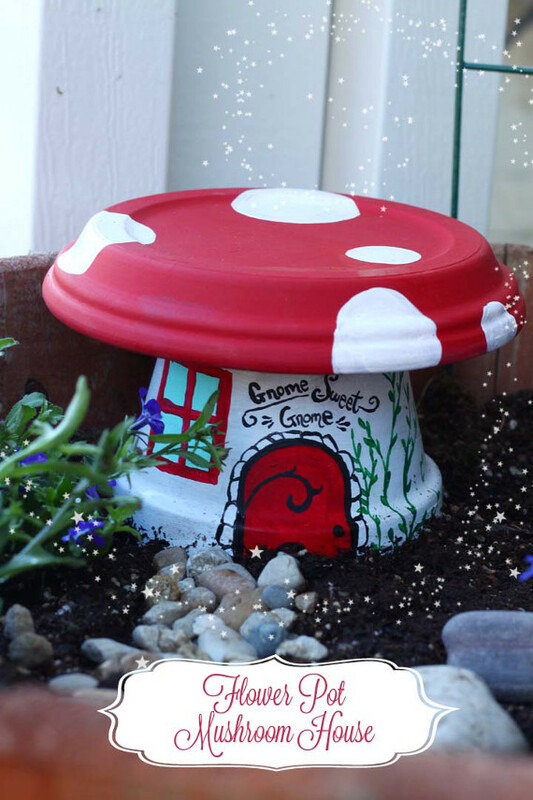 This entry was posted in Crafts, Crafts for Learning, Family Crafts, Holidays & Seasons, Kid's Crafts, Spring, Summer, Toddler Crafts and tagged Garden Crafts, Green Crafting on May 30, 2016 by Morgan. Teaching kids how to be more sustainable by Reducing, Reusing and Recycling is part of our daily routine. By now my little ones correct me if they see me being careless about water usage or throwing something away that could be useful. Earth Day crafts are a great way to celebrate the Earth and our home and brainstorm more ways that we can preserve our resources and protect the environment. 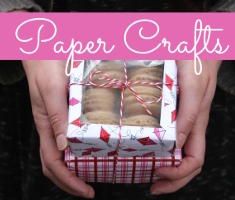 Join me and my little ones in our celebration with these great tutorials for Earth Friendly Crafts! I’ve been looking for a new paper mache project to make with my school aged nieces (5 and 7). This project is beautiful and interesting to make but it’s also a great opportunity to answer questions they might have about our planet, how it differs from the other planets, what kinds of resources we have and what we can do to protect and conserve them. This entry was posted in Crafts, Crafts for Learning, Family Crafts, Holidays & Seasons, Kid's Crafts, Paper Crafts, Recycled Crafts, Toddler Crafts and tagged Craft Techniques, Crafts for Learning, Earth Day Crafts, Family Crafts, Green Crafting, Paper Mache, Recycled Crafts, Toddler Crafts on April 18, 2016 by Maria. Spring is a great time to explore outdoors with the little ones. What changes do they notice in their environment, at the park, even in their own backyards? How has the change in weather affected the places we visit? Are there more ponds or vernal pools (small seasonal ponds) at the park? Do you hear frogs chirping after sundown and can you spot jelly-like globs of frog eggs or even little tadpoles during the day? Let’s see what we can learn about a Frog’s World! Here are some arts and crafts ideas to go along with nature walks, and books about frogs and other amphibians in our environment. 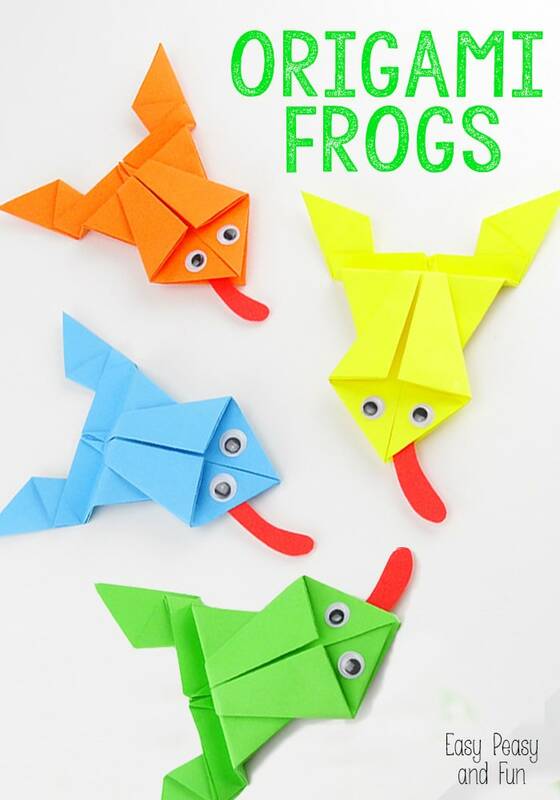 I recall making origami frogs when I was a kid. Origami was one of my favorite crafts as a school aged kiddo. These are especially fun because they actually jump. This entry was posted in Crafts for Learning, Family Crafts, Holidays & Seasons, Kid's Crafts, Paper Crafts, Spring, Toddler Crafts and tagged Crafts for Learning, Family Crafts, Garden Crafts, Green Crafting, Painting, Recycled Crafts, Toddler Crafts on April 4, 2016 by Maria. Kids’ Crafts: Welcome Back Birds! Spring is here and its time to welcome back the birds and other wild creatures that migrated south or have been hibernating. The first week of spring is a great time to teach about wildlife habitats (including your own backyard!) and the different ways that animals cope with winter and celebrate spring. Here are some bird themed crafts to go along with your discussions and reading about birds this season. 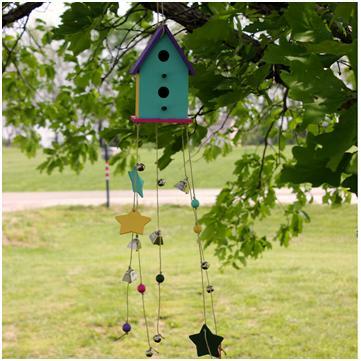 This brightly painted bird house and wind chime would make a beautiful addition to your backyard bird habitat. This entry was posted in Crafts for Learning, Family Crafts, Holidays & Seasons, Kid's Crafts, Paper Crafts, Recycled Crafts, Spring, Toddler Crafts and tagged Crafts for Learning, Family Crafts, Garden Crafts, Green Crafting, Outdoor Crafts, Painting, Recycled Crafts on March 28, 2016 by Maria. 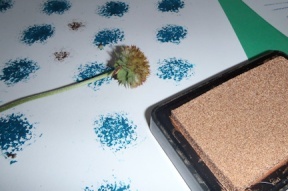 Kids’ Crafts: Ready, Set, Plant! It’s planting season here in Portland! What better way to teach kids to nurture living things, protect the environment and learn about food production than by gardening? 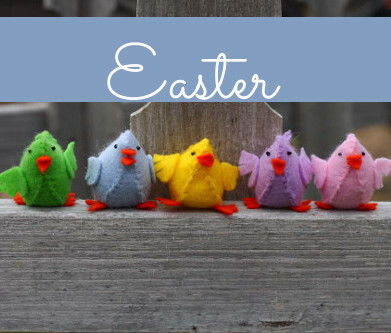 Here are some activities that will help you and your kiddos celebrate the beginning of Spring, spark scientific curiosity and get crafty in the garden! Looking for a creative way to pot your plants? 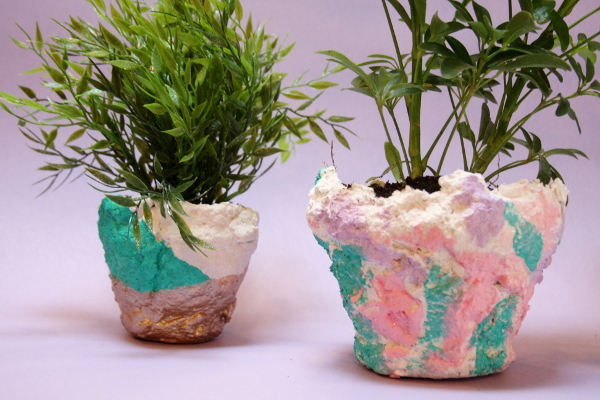 Sculptamold is a fun material to work with and it makes great, unique plant pots. This entry was posted in Crafts for Learning, Family Crafts, Holidays & Seasons, Kid's Crafts, Spring, Toddler Crafts and tagged Clay Crafts, Crafts for Learning, Family Crafts, Garden Crafts, Green Crafting, Jar Crafts, Outdoor Crafts, Toddler Crafts on March 21, 2016 by Maria.